Nearly 50 years after graduating from Rolla, David Malone, CE’69, still recalls how hard he had to work — even on Saturdays. “I remember staying up all night Friday studying for the dreaded Saturday morning physics exam,” he says. Last year, Malone, who retired from Black & Veatch in 2007, made his first gift to the university. It was inspired by those memories — and the career that followed. 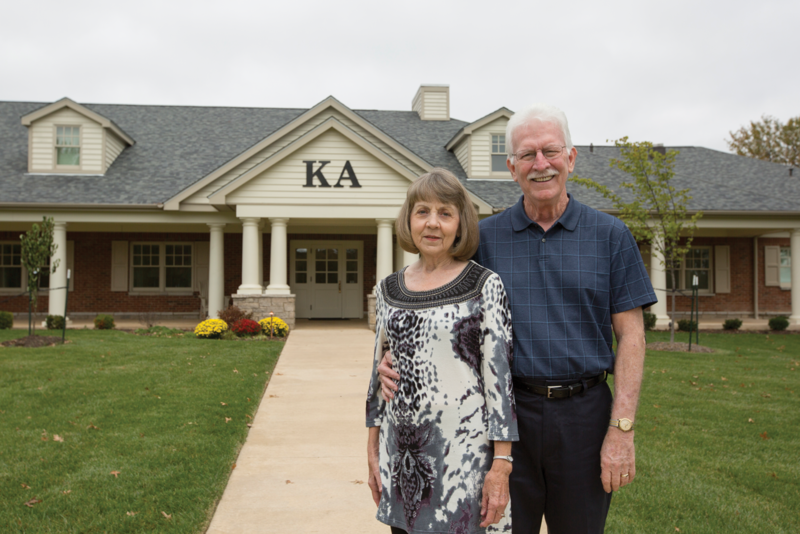 The David and Lynda Malone Endowed Scholarship, established in 2015, provides members of Kappa Alpha with financial support. Malone credits his wife with making it happen. For the high school sweethearts from Mountain View, Mo., the scholarship was a way of passing on their blessings. “We have had a full life and been able to send two kids through college. That is due in no small part to my Rolla education,” says Malone. After serving in the U.S. Army in Germany and working as a plant engineer in Iowa for the Natural Gas Pipeline Co. of America, Malone joined Black & Veatch. Over the next 34 years, he worked as a field engineer, project engineer and construction manager. A licensed professional engineer in Colorado, Kansas, Oklahoma, South Carolina, Tennessee and Texas, he also earned a master’s degree in geotechnical engineering from Kansas State University. The Malones have two children, David and Melissa, and one grandchild, Scarlett. Malone taught algebra at Missouri State University-West Plains after retiring. As a proud KA, he serves on the board of the fraternity’s education foundation and returns to campus every July on the “alumni cleanup crew” responsible for getting the house in shipshape order before the fall semester.